I contributed a short story to the second annual Christmas Anthology from Soul Mate Publishing and just got word today that we have a release date of November 6! 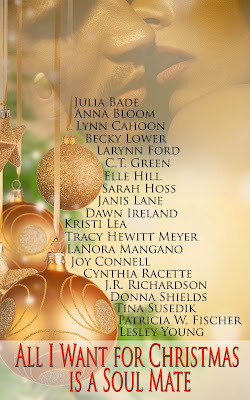 Christmas Blessings, (my story) will be available along with nineteen others celebrating Christmas and the love we feel at this special time of year. For those of you attending the Southern Magic Readers Luncheon, I will have postcards with our beautiful cover to take with you as a reminder to get your copy on release day from Amazon. Don't forget! November 6! For those of you who won't be able to make the luncheon, here's a preview. Here's the blurb for Christmas Blessings . . .